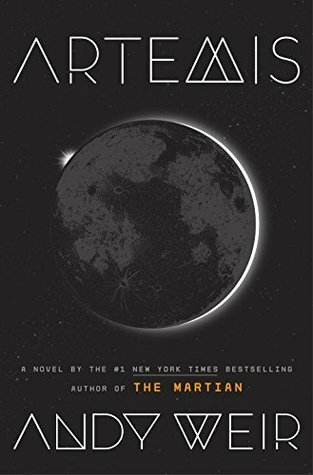 Like a lot of people, I think The Martian by Andy Weir is one of the best books written over the past few years. It took a little while to become as popular as it did, considering Andy began releasing the book in parts on his website, but with the inclusion of a film starring Matt Damon, it garnered a ton of attention, and deservedly so. It had a perfect mix of hard science, space travel, humor, and a character you could really root for. So now we have Artemis, Andy’s follow-up ( not a sequel to ) to The Martian which just so happens to also take place in space (surprise surprise). Jasmine “Jazz” Bashara is a porter in Artemis, the first and only city on the Moon. Though it generally takes large amounts of wealth to enjoy the city’s many hospitalities, Jazz scrapes by with her meager salary and side hustle, smuggling in contraband to some of the city’s wealthy. One day, a client of hers offers a once-in-a-lifetime opportunity to make some serious dough, but getting caught can lead to her deportation back to Earth. What begins as a wonderment of life on the Moon unfolds into a life-altering and dangerous heist, one that uncovers more than she asked for, but one that could end up giving Jazz all she has ever wanted. Weir does a fantastic job setting up the entire city in the first couple of chapters, beginning with Jazz attempting her EVA exam outside of the bubble to life in the underground and above. He also gives Jazz plenty of redeeming qualities that will resonate with a lot of readers. The only downside of the book is Jazz’s personality: you will either love or hate her. While she is introduced as a twenty-six year old with genius level smarts, she comes off as a angsty teen in most instances which can be a turn off to some. But I will say, Rosario Dawson makes up for any shortcomings because she really brought Jazz to life in the narration. Those who are looking for The Martian, Part 2 will be disappointed, but there is still plenty of sciencing to go around. Weir does not let up on the amount of over your head, over the top hypothesis/experimentation/success or failure and that is what I have come to love about his work. It gives me something to do when I finish the novel: research and learn. He also brings just enough humor for those who loved Whatney’s antics. The “moon” building is fantastic and you can picture what life could really be like on its surface.